"South and North Korea agreed Friday to hold reunions of families separated by the 1950-53 Korean War on the occasion of Liberation Day in August. The agreement was part of a joint declaration issued after South Korean President Moon Jae-in and North Korean leader Kim Jong-un held a historic summit earlier in the day at the truce village of Panmunjom." Read the full article here. "I came to South Korea with my husband, my husband’s brother, and a baby I carried on my back. Because I had the baby, I had to leave my daughter with my mom, but I was told we were going to go back home in a month, so I thought I’d only be gone for a little while. After I left I couldn’t go back, because the way was blocked." Read the full article here. "In the fall of 2010, in a banquet hall in Kangwon Province in North Korea, South Korean lawmaker Woo Won Shik took a seat at table number 74. He had come with his mother to a government-sponsored meeting for families divided by the Korean War. They were there to meet Woo’s older sister, who had been left behind in North Korea in July of 1950, amid the chaos of a mushrooming civil war." Read the full article. "June Kang used to tell her son, Andy Jung, bedtime stories about the Korean War and how it not only divided a nation, it divided families." Read the full article. 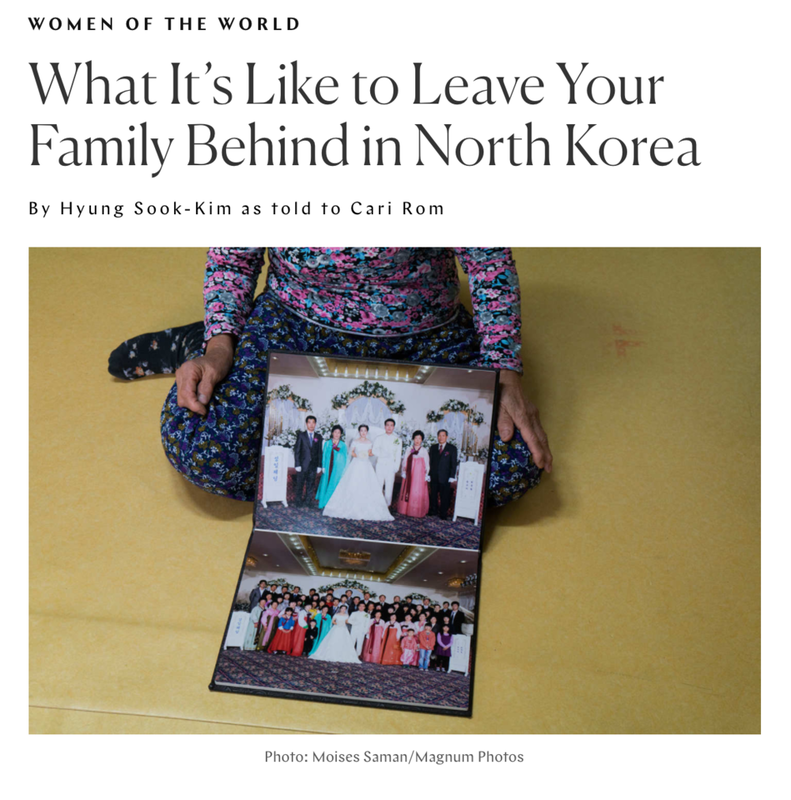 "Before Heang Ki Paik’s mother died in 1991 in South Korea, she told him she had a final wish: that he return a family ring and other possessions to her family in North Korea, whom she hadn’t seen in more than 40 years." Read the full article. "South Korea will seek to discuss ways to ease military tensions and reunite divided families during this week's high-level talks with North Korea, Seoul's chief delegate said Monday." Read the full article. 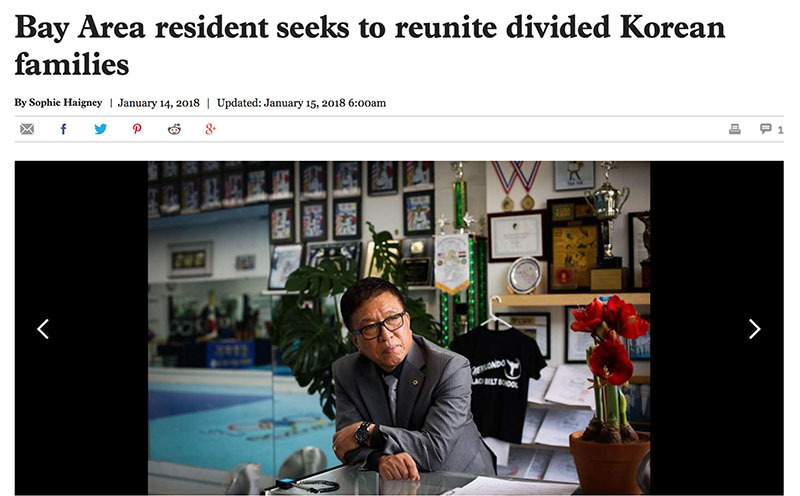 "Korean Americans are not allowed to partake in the North-South Korean reunions. NPR's Rachel Martin talks to Chahee Stanfield of the National Coalition for the Divided Families about their options." Read the full article and listen to the interview.